Ease, packing size and ultra-quick installation makes the Skyline® WindScape® Exhibit System a perfect solution for your sales force or remote locations as part of a fleet program. Realize a Quicker Return On Investment! 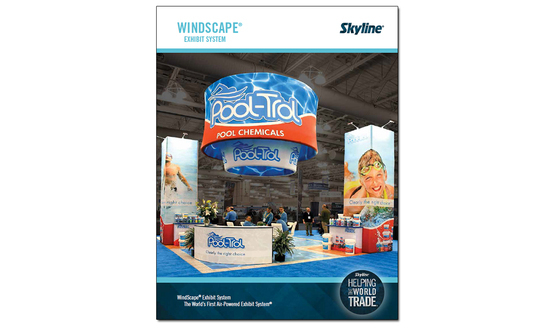 Request a free brochure for Skyline® WindScape®, the world's first air-powered exhibit system®.